TLG-PE is the most comprehensive physical education support system ever produced. 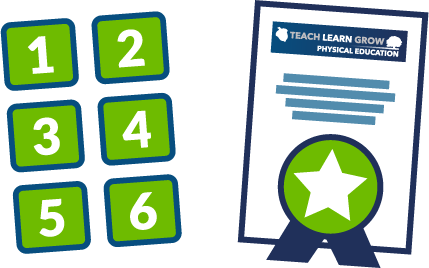 Designed by teachers, for teachers, the TLG-PE system puts an outstanding PE curriculum in the palm of your hand. When it comes to teaching PE, we've got you covered. 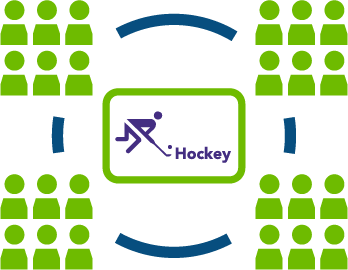 We provide you with clear, easy to follow planning that ensures your pupils focus on both skill development and game application. Our unique approach to curriculum mapping has been designed to ensure children participate in a structured learning journey from FS2 through to Year 6. Schemes of work are planned sequentially to ensure thorough knowledge and understanding on each step of the learning journey. For teachers, planning includes detailed lesson summaries that not only show what to teach (including video examples) but also important detail such as how to mark out spaces for the lesson and how to transition from each element of the lesson to the next. The TLG-PE system allows you to maximise the time allocated to PE each week. When shown on the class board, the lesson introductions give children an insight into the learning objectives and content of the lesson they are about to have – This is a great way to get children thinking about learning while they are getting changed. 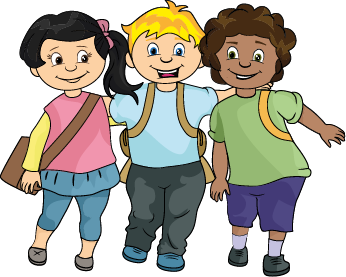 Each lesson includes a question for learning which can then be discussed when the children are changing back into their school clothes at the end of the lesson. You can also access a printable WAGOLL (What A Good One Looks Like) document for every learning objective being taught in each scheme of work. These provide an excellent reference for both you and your pupils to assess the quality of the work being produced. Using formative assessment is key in PE to help shape the learning journey for the pupils taking part. 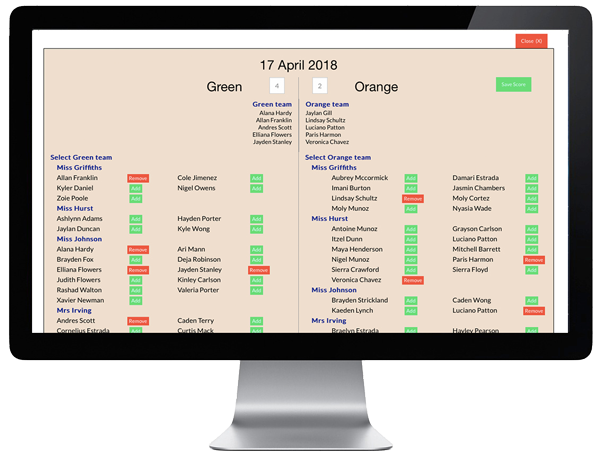 The TLG-PE system allows you to input live assessment data via a table during the lesson, or from the comfort of your desk at the end of the day. 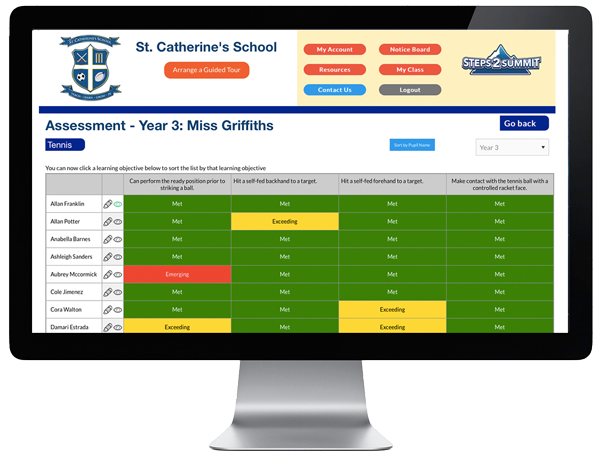 The simple to use assessment portal produced clear, easy to understand data at the touch of a button. 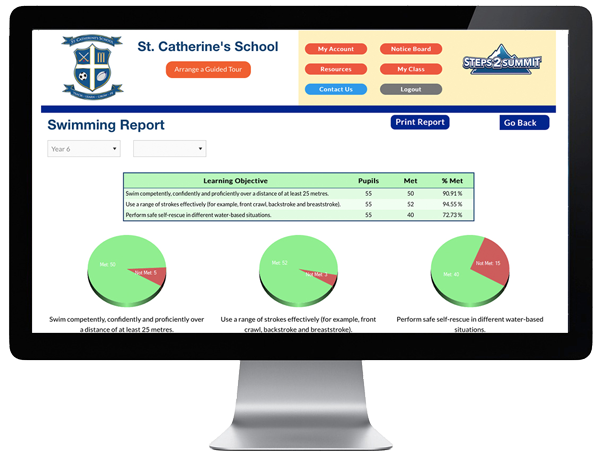 Whether it's year to date performance for your class, head teachers reports to take to governors, or athletics data to use in a maths lesson, the TLG-PE system gives you exactly the data you need for every given scenario. In line with new government guidelines, the TLG-PE system also now stores swimming data, making it easy to see which children need additional support to ensure they meet the curriculum requirements. This data is automatically added to the PE & School Sport Funding Report that is produced and linked to your school website. It's never been easier to build your own engaging, exciting and compliant long-term plan for PE. 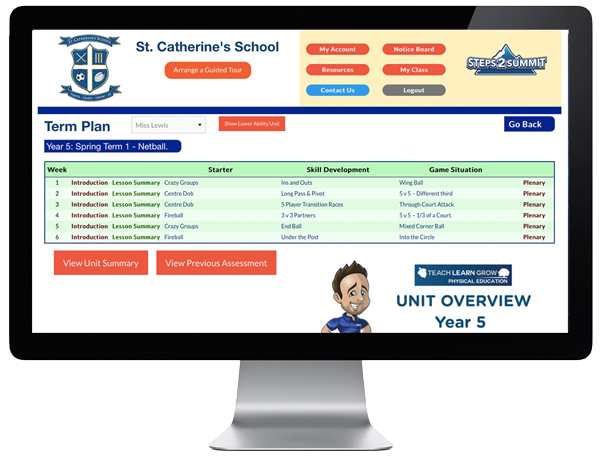 With TLG-PE lite, you can use our unique, easy to use, software to build your own curriculum map for each key stage in school. Once completed, the map can be downloaded and placed in your subject leader file. The TLG-PE lite program provides plenty of hints and tips about building a compliant, engaging curriculum map specifically for your school, it will even remind you if you are missing some required national curriculum components! 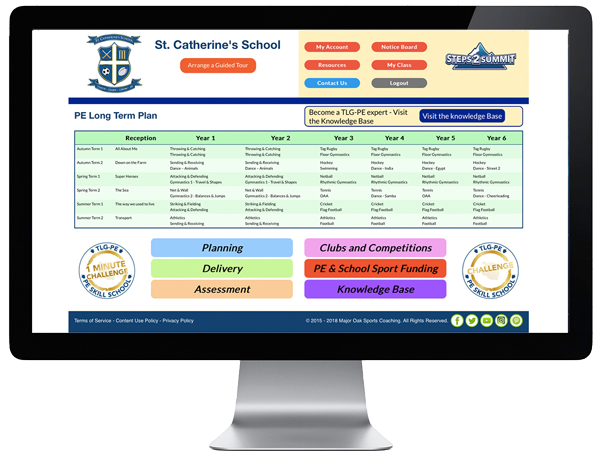 Even better, the TLG-PE lite long-term plan builder is available completely FREE OF CHARGE, meaning there is no better time to start building your PE curriculum. One of the most time-consuming parts of the PE subject leader role is ensuring that funding reports are both compliant and continually kept up to date. 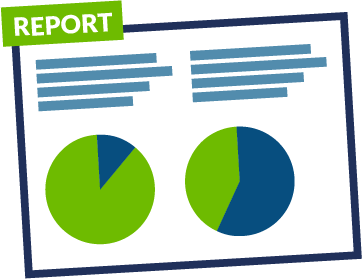 With the TLG-PE system, your allocated PE Support Manager will work with you to build your funding report into your school portal at no additional cost. The report is then automatically updated with the required data from your TLG-PE account. 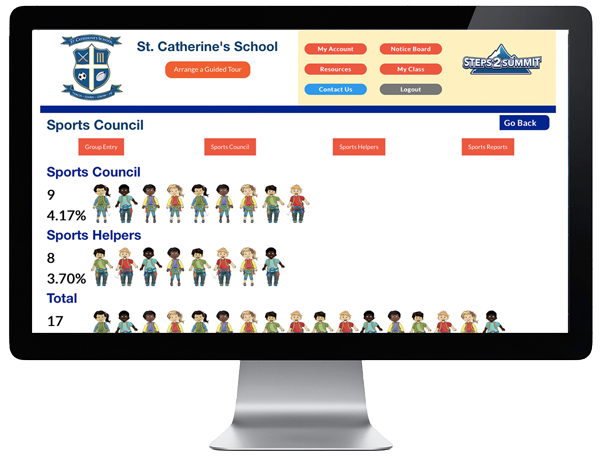 All you need to do is link the report to your school website to ensure you have a constantly updated, compliant funding report all year round. If you need any help or advice for planning next year's spending, your PE Support Manager will be happy to assist. 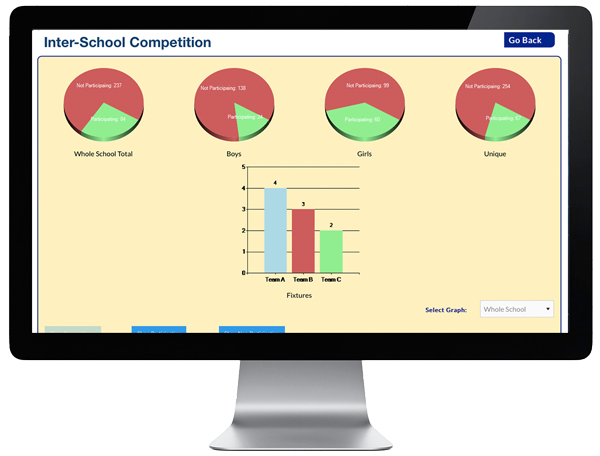 The clubs and competitions section of the TLG-PE system allows schools to track participation and easily identify children who are not taking part in either extra-curricular clubs, intra or inter-school competition. If you are working towards a Gamesmark application, the TLG-PE system allows you to store all the required information in one easy to locate space – No more lever arch folders or scratching around for scraps of paper at the end of the year! Time is everything. You don't want to spend hours making sure your children are participating in clubs, competitions and personal challenges, only to spend hours again entering all your data into a reward scheme website to prove your effort. That's why we developed the TLG-PE Sport & Activity Mark! 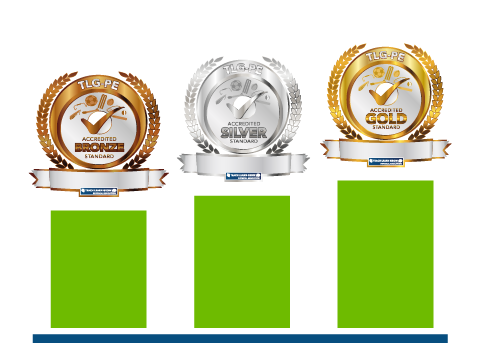 The TLG-PE Sport & Activity Mark records your sport and activity data entered into the TLG-PE system against the criteria for the Bronze, Silver and Gold award. 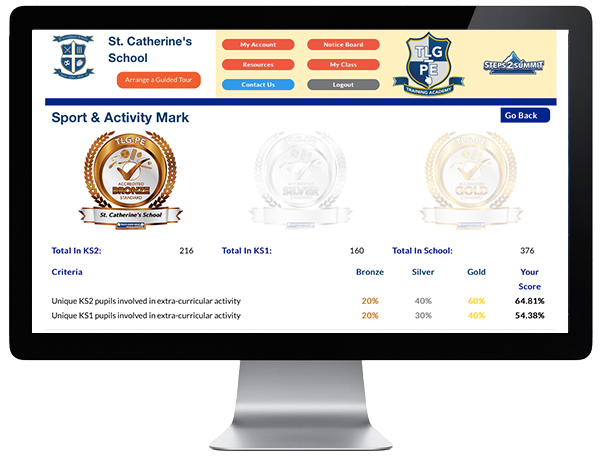 At the end of the academic year, the system will automatically analyse your inputted data and send you your personal school plaque for the award you qualified for. No extra work. No extra cost. Just a little extra recognition for all your hard work. Young leaders are a fundamental component of a successful extra-curricular sports, clubs and activity program in schools. The TLG-PE Young Leader Award gives you 6 bespoke lessons to help teach your aspiring leaders the importance of ASCENT – Our acronym to ensure young leaders understand the the 6 key areas of focus when working to become a successful young leader. Each lesson focusses on learning about a specific area of ASCENT, with practical lessons included to practice your newly acquired knowledge. The TLG-PE Young Leader Award links exclusively to the TLG-PE system, ensuring your pupils have all the required knowledge to help your school improve its extra-curricular participation. OK, so we can't actually do this one. We can, however, improve how you teach PE in bad weather though! Included in the delivery section of the TLG-PE system is a suite of wet weather games, specifically focussed on delivering the same learning objectives as the normal outdoor lesson – meaning wet weather will never be a barrier to learning again! Marking takes a slightly different approach in PE – We have to be able to assess performance there and then in the lesson. To do that, the way we assess needs to be clear, simple and manageable. 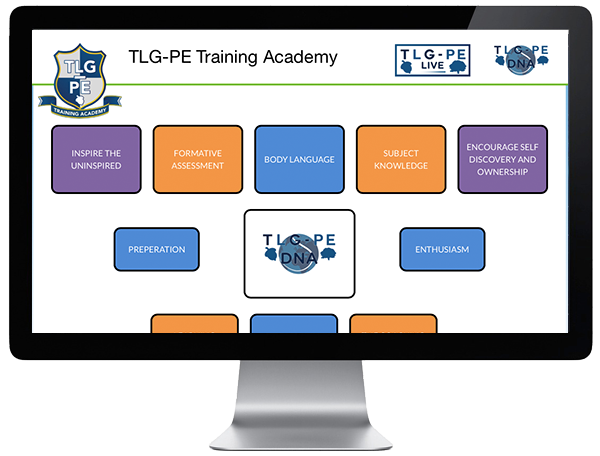 TLG-PE give you everything you need to know about what to teach in PE through its exclusive planning portal. Now, the TLG-PE Training Academy helps cover the how to teach element with TLG-PE DNA. TLG-PE DNA focusses on the core messages around outstanding PE delivery – How we teach, how we maximise learning and how we grow the individual. 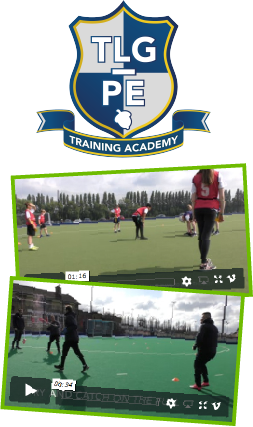 It includes practical videos of real life PE lesson delivery to highlight some of the key components of outstanding PE teaching. The TLG-PE Training Academy also includes a searchable database of over 1000 games which you can add to libraries and favourites to build your own resource bank to use in extra-curricular clubs or in your curriculum lessons. The TLG-PE Training Academy can be purchased on its own, or is included FREE with all full system purchases. With live chat, Facebook SL groups, your own designated TLG-PE support staff and FREE subject leader CPD sessions, we've got your covered whatever you need. As former teachers and school sport professionals, we know exactly how difficult your job is and how difficult it can be to get the help you need. Our team are on hand to give you the support you need, when you need it. They say that knowledge is power, well if that's true then the TLG-PE system is going to make you the most powerful teacher on the planet! The TLG-PE knowledge base includes ‘how to' documents, navigation videos and user guides that cover all areas of the system. If you do manage to find something that you don't know the answer to, our live chat is manned from 8am – 7pm each day to allow you to easily converse with one of our team at a time suitable for you. Whether it be personal challenge or active playgrounds, the TLG-PE system includes something to ensure all your children can be more active. 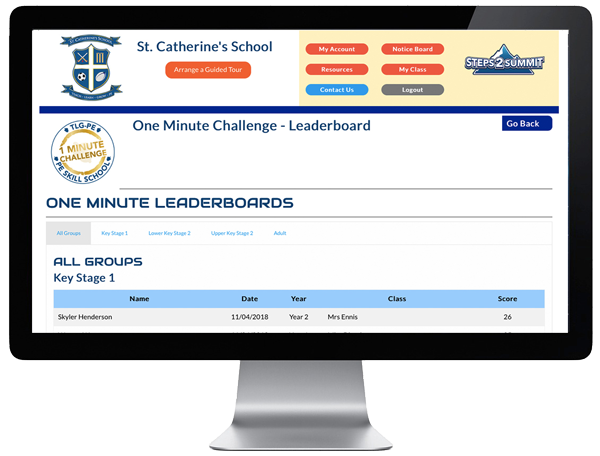 PE Skill School and the One Minute Challenge are designed to allow young leaders to run lunchtime activities for pupils in the school. Results from these challenges can be logged in the TLG-PE system to allow schools to easily identify who is and isn't active. TLG-PE provides the perfect system to help improve every user who comes into contact with it. Pupils, teachers, teaching assistants, subject leaders and senior leaders will all benefit from using the TLG-PE system and will see their confidence, knowledge and skill improve as the system is embedded into the physical education program in your school for years to come. We pride ourselves on saving you time. You'll find lots of features in the TLG-PE system that are focussed on giving you time back to focus on the important parts of your job. Whether it's automatically generating your after-school club letters, keeping your funding report up to date or documenting your swimming data on your school website, we've got you covered. All pupil data is stored on a Microsoft SQL Server database on a Microsoft Azure platform. The SQL uses SSL/TLS encryption and the whole system runs on a secure https encryption. School data is only viewable by TLG-PE staff, who are all enhanced DBS checked, and the registered teacher who is issued with a secure log in and password. Assessment in PE produces a number of challenges for teachers, not least because of the lack of resources to assess from. Quality, formative assessment has always needed to be completed either live in the lesson or immediately after it, making the teaching of outstanding PE difficult, especially for those teachers less confident in the subject. 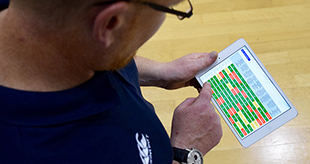 TLG-PE live is a unique, one of a kind resource, focussed on providing quality assessment for every PE lesson delivered in your school. 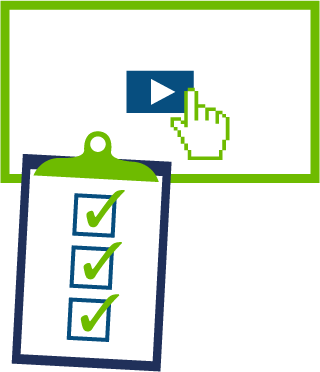 Our unique technology allows you to film your lesson, upload it to your secure account and then, before your next lesson, view completed formative assessment on your class to help you shape your future lessons. Our team of experts thoroughly review your lesson footage and assess individual performance from the film. 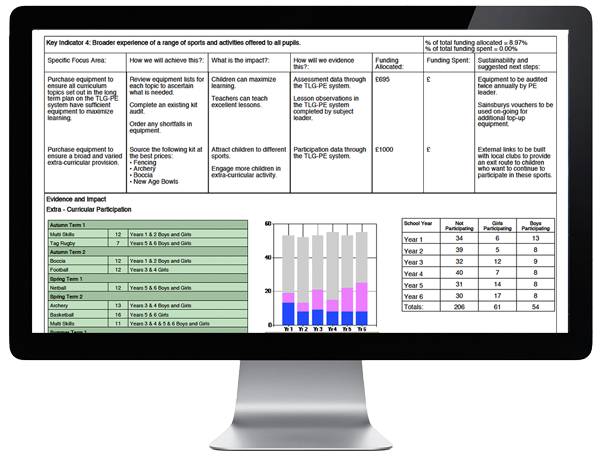 That assessment data is then uploaded to your TLG-PE account with an individual lesson review document. In the current economic climate, the financial cost of having outstanding PE lessons delivered by your own staff, with those lessons being supported and assessed remotely by experts, rather than in school by external coaching companies, is too huge to ignore.